At some point in your freelance editing career, you will face every freelancer’s fear: a blank schedule. Your inbox is empty. Your former clients may not write another book for years. And you’re at a loss for how to find those elusive would-be clients. You’re not sure when you’ll next be able to pay yourself. You may even begin to wonder if freelancing was the right decision. Famine threatens your livelihood. But there are proven steps you can take to reinvigorate your pipeline. 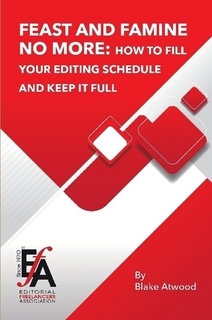 If done with purpose and consistency, you can have clients proactively contacting you for their next editing need, and your schedule will get full and remain that way. But it takes work, so let’s get to it.